MARTY: I am a traditional player and go once a week to the casino. I make a pass line bet and then I back it with full odds up to 10X when I can find such a game. If I am playing $10 on the line I have no problem putting $100 in odds behind the bet. I will make two come bets and back those with odds. If I am playing a 5X odds game I will make a $15 pass line or come bet and back it with $75 on the 4 or 10, back it with $100 on the 5 or 9 and then $125 on the 6 or 8. The payoffs on these bets are all the same amount $150 plus my $15 flat bet. I will only make two bets on a 5X game. My bankroll isn’t infinite and betting as I do I only risk $30 dollars against the house edge. I do not make any other bets. KARL: I make a pass line bet and also add a C&E bet to protect it. I don’t use the come bet because I want to pick my numbers and not let the dice do it. So I will place the 6 and 8 for $30 each and buy the 4 or 10 for $25 or $35 depending on the casino letting me only pay one dollar to buy them. I don’t make any of the middle bets except on the come-out as I’ve said. BENJAMIN: I let it all hang out after a while because I get caught up in the game. If I am ahead I do increase my place bets by parleying them. I have to say I go for the kill so I make hardway bets and also horn bets. I want to get a payout. Yes, I do use the pass line but that’s the only even-money bet I make. I back that bet with two times odds even on games that allow you to put more on the odds. JACK: I do not follow the math of the game because that math is only for the so-called long run and I only play in the short run. Ha! Ha! That short run has been thirty years! But I think the short run does not mean the numbers come up the way they come up in the long run. So I go with trend betting as they call it. If a number hits, I will bet that number. There are times when I am on a lot of numbers because they have not repeated but that’s the way it goes. You can’t win them all can you? I’ll have about three hundred out on the layout at any one time. I’ve had some good nights and some bad night but that is gambling isn’t it? MARVIN: I am strictly a pass line and a come bettor for $10. I do not want to waste my money on bad bets. If I can afford to place full odds I will. My philosophy is that I bet the least amount on the pass line and come and back them with the most I can afford in odds, usually five times odds at most. I do just keep making those bets so sometimes if numbers do not come up more than once I can be in trouble. Still I know from the math that my way of betting is the best way. WALLACE: Don’t yell at me but I am a true “don’t” [darkside] player. And I really don’t care that most players hate “don’t” players; that’s their problem, not mine. I will bet the “don’t” pass and then go up on at least three “don’t” come numbers. I back the bets with full odds. Hot shooters can kill me but more often than not most shooters don’t get very hot. I have had some trouble with some other players who give me “the eye” or even cheer when I lose but mostly I can play in silence and just keep hoping the shooter doesn’t make his point or any of the other numbers. KENNETH: I am an instinct player. If I get a feeling that a shooter will get hot I will go all out on that shooter from the very start. Yep, pass line, come bets and also place bets. I will also place some of the proposition bets like the hardways and the field. If I think the shooter is going down in flames I have no problem betting the “don’t” bets against him. I go with what I consider will be the flow of the game, rightside or wrongside. So, there you have it. 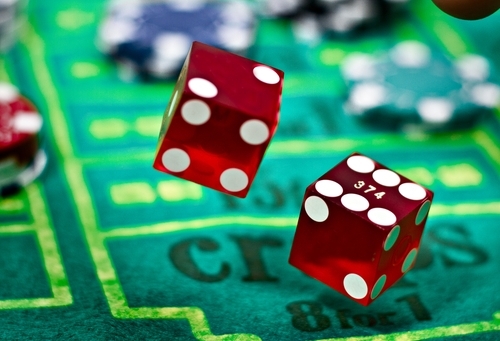 There isn’t one specific way to play the game of craps. There are a lot of different ways to play. But, which ones are the best? In the next issue, I will start deconstructing these various strategies. Good luck!